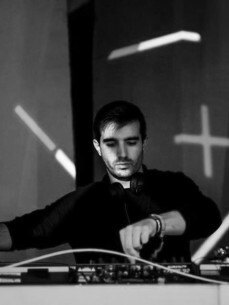 Dušan Doo Predojević is a DJ and one of the founders of Beyond House, one of the most active DJ and booking collectives on Belgrade’s underground scene. Doo started his DJ career in 2005 playing in all relevant Belgrade clubs and festivals in Serbia back then. Through his consistant quality dj performances and passionate vinyl collecting Doo has earned his residency at the now legendary Belgrade club ‘The Wash’. After ‘The Wash’ was closed, Doo founded Beyond House with his talented emerging DJ posse: Ognjen Milosavljević, Miloš Maričić, Ivan Tanović and Damir Zekiri. Nikola Vemić and Ali Guney. Since then Beyond House are responsible for some of the best moments in the Belgrade nightlife scene, mostly because of their superb taste and thanks to bringing names like: Bu§§, Dubbyman, Richard Zapenzauer, Lucretio, Marcellis, Owen Jay, Intergalactic Gary, Interstellar Funk, Marsman, Mick Wills, Space Dimension Controller, Levon Vincent, Tama Sumo, Antal… to Belgrade. Nowadays Doo plays and organizes parties at the eclectic music boat 20/44 and infamous „techno cathedral” – Drugstore, clubs well knowed in underground circles across Europe, but also Kc Grad,Tunnel places seminal for the uprising of the recent DIY force in Belgrade which changed the city’s nightlife drastically. What he plays has started to transcend genre since the promising fella started showing the capability of pleasing deep house bros, space disco geeks, techno heads and experimental freaks equally. Same goes for different clubs, bars and festivals.